Natiel Oswald-Bauer, PA-C joins Swift Urgent Clinic with experience in orthopedic sports medicine as well as foot and ankle specialty care. She has experience diagnosing and treating a variety of musculoskeletal and orthopedic injuries in a medical office setting. Natiel is experienced in procedures such as aspirations / intra-articular injections, deep and superficial wound closures, casting / splinting and reductions. She completed her Physician Assistant clinical training at University of Oklahoma Health Sciences Center. Her rotations included family medicine, emergency medicine, orthopedics, urgent care, pediatrics, general surgery and others. Natiel is certified by the National Commission on Certification of Physician Assistants. 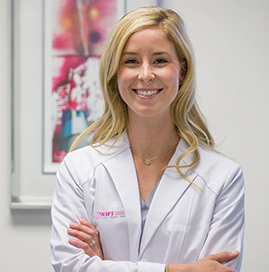 She is actively involved with the American Academy of Physician Assistants.